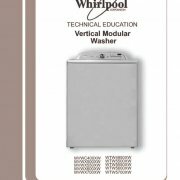 Home appliances use circuit control and safety devices as well as resistance loads to make our lives considerably easier. 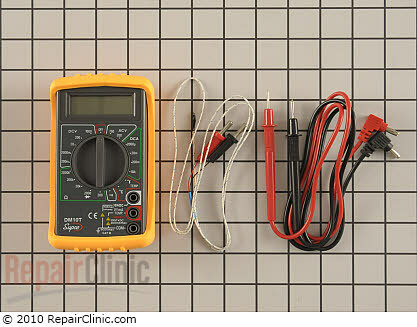 A simple understanding of the function and appearance of the electrical parts used in appliances, as well as the wire diagram symbols used to portray their use will give you a huge advantage in troubleshooting and repairing your home appliance problems. It may seem a little overwhelming at first…Start with an aspirin and the Electricity 101 Page and I think you’ll feel a little better. A transducer is a device that converts one type of energy to another. The conversion can be to or from electrical, electro-mechanical, electromagnetic, photonic, photovoltaic, or any other form of energy. 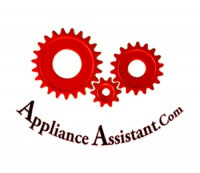 With appliances the term transducer commonly implies use as a sensor or detector. However, any device that converts energy can be considered a transducer. A thermostat is a device for regulating the temperature of a system so that the system’s temperature is maintained near a desired level. Almost all appliances use thermostats in some capacity. A refrigerator uses thermostats to regulate internal temperatures as well as regulate the need for and length of defrost cycles. 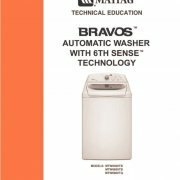 Washing machines use thermostats to control water temperatures. 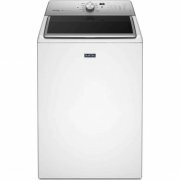 Dryers use thermostats to regulate drum temperatures and to protect against fire hazards. Cooking appliances use thermostats to maintain an optimum cooking temperature. Thermostats are produced in two main styles fixed temperature bi-metal thermostats that open or close at a set temperature and variable resistance thermostats that fluctuate resistance levels with temperature change to operate a temperature control system. A thermistor is a sensor that fluctuates its resistance value with temperature change; this resistance value can then be interpreted by a control system. Thermistors are often used by electronically controlled dryers such as the Whirlpool Duet dryer or Maytag Bravos dryer to measure the dryer’s drum temperature, the control can then cycle the dryer’s burner or heating element on or off to maintain a more accurate drum temperature. An LDR is a sensor, which uses light to alter its resistance value, resistance decreases as the brightness of light falling on the LDR increases. 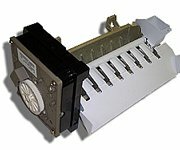 Light dependent resistors are often used on a refrigerator’s dispenser to automatically turn the refrigerator’s night-light off and on as needed. A motor is a transducer, which converts electrical energy to kinetic energy (motion). A motor may have multiple speeds, or directions of rotation. Most AC and DC motors commonly used in appliances, use a coil or several coils called the stator to create a rotating magnetic field causing the motors rotor to spin. A coil of wire, which creates a electromagnetic field when current passes through it. A coil can be used as a transducer converting electrical energy to mechanical energy by physically pulling with the use of a temporary magnetic field, or in the case of an inductor magnetically exciting certain metallic materials to generate heat. One of the most common electrical / mechanical components used in home appliances is the solenoid. 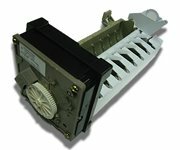 A solenoid is an electromagnetic coil that will pull a metallic post opening an internal valve or engage some lever or switch to automatically preform some mechanical function at the proper time.